Every morning after breakfast and a “walkabout” in the pasture, sniffing around for good grazing, our Nokota Horses seek up a special place for a quick nap; always the same place this time of year. It is close to a corner of the pasture not far from the house, but away from roads and boisterous neighbors, where the woods give some shelter for the wind and where they can sleep undisturbed. 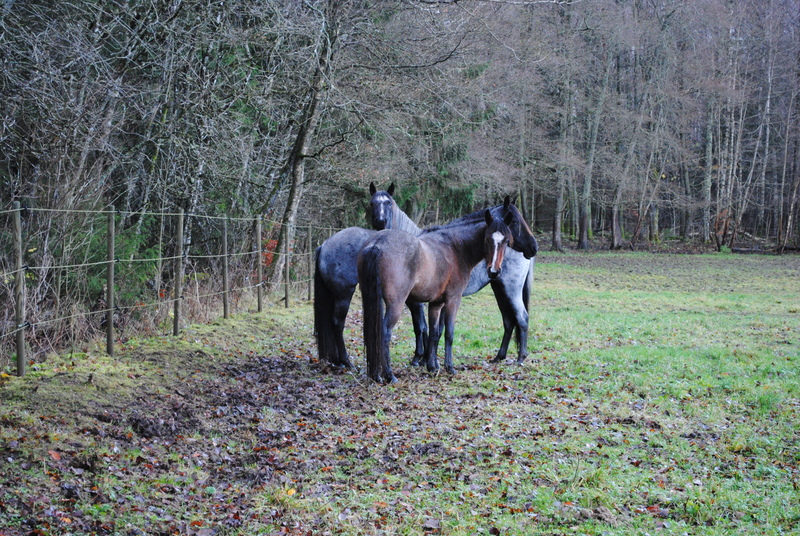 They are standing close together to keep each other warm, one hind foot off the ground resting, facing different directions to cover the surroundings, all senses on stand-by-mode. Refreshed after half an hour or so of sleep they walk off, onward into a new day of horse life. Next post will be a thorough journey into the complicated topic of equine visual perception – how horses visually see the world and what we can learn from that. This entry was posted in Uncategorized and tagged Horses, nature, nokota, photography, Weekly Photo Challenge. Bookmark the permalink. Nothing like a reliable routine to keep a horse happy! That is true, well said! Horses free in a pasture are wonderful to watch. Here’s where we can learn a lot about how they view the world. Nokota horses are new to me. 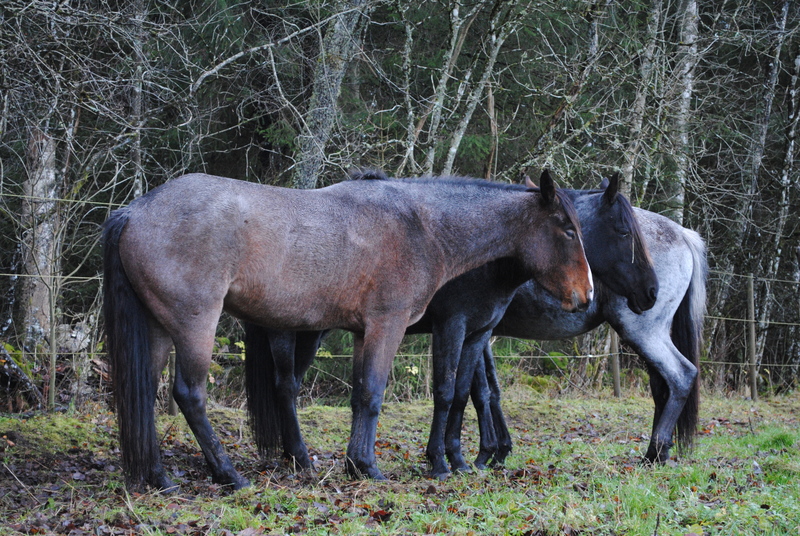 I love their beautiful roan pattern. I’m going to enjoy exploring your blog.